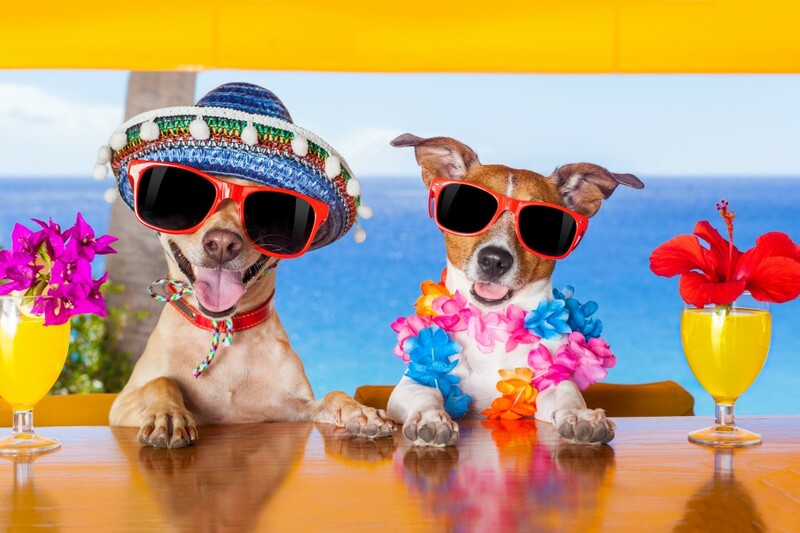 Preparing your pet to visit the Caribbean Islands whether by air or sea can be time consuming and expensive. Communication is key between your vet, yourself, and the import country’s governing office. It is often necessary to fax or e-mail all the required documentation in advance and wait for them to issue the permit. It is a good idea to call the office and confirm receipt of your pet’s paperwork. When traveling by sea, for most islands you must provide 48 hours advanced notice of your arrival. There will be a fee for inspection whether you keep your pet onboard or go through customs at the airport. You will also need to arrange for this veterinary inspection/examination in advance. You will need to wait until after you have met with the vet and they have cleared your pet onto the island before you embark. • An International Health Certificate signed by your Government Official (ex. in the USA it is the USDA) usually within (7) days of travel to the first island. Be sure to have a copy of all your pet’s vaccinations, rabies certificate, and test results. It is a good idea to have a current stool sample analysis and Heartworm blood panel done. Some islands require a current (within three days) Health Certificate so make sure to confirm the requirements before you go. • Microchip your pet and make sure to scan the microchip before departure to see it works and information is correct. • The pet must have a current health check by an accredited veterinarian within 10 days of travel. Airlines require this. • All vaccinations must be current within one year, no three year rabies shots accepted. • Have a current titer blood test performed by your country’s approved laboratory. • You will have to send all the necessary paperwork to the island vet (fax or e-mail) prior to your visit and wait for approval. Allow for extra time for this process to be completed. • Once you receive approval you will need to notify the vet on the island you wish to visit 48 hours in advance of your visit. You will need to determine time and place. When arriving by boat, not all ports allow pet importation so check in advance.